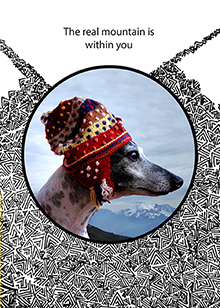 Enzo: At 6 years old, this Italian Greyhound found home. He enjoys sleeping in a flannel pillowcase. "The real mountain is within you"